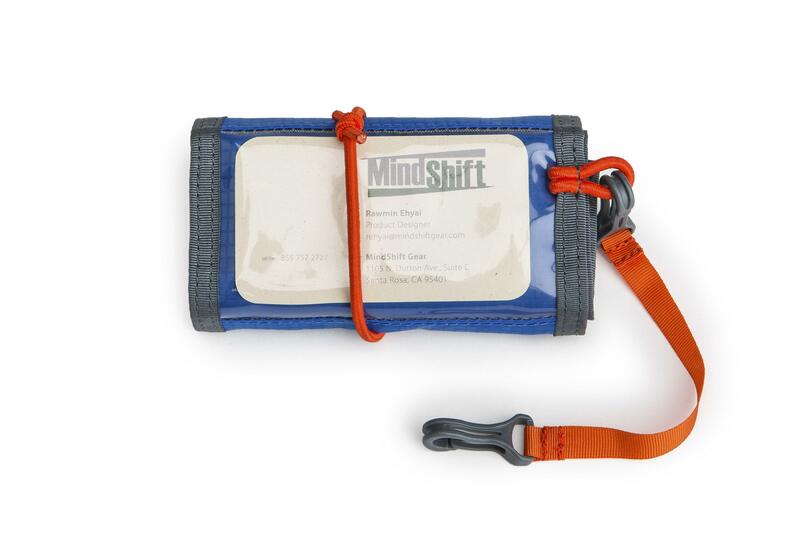 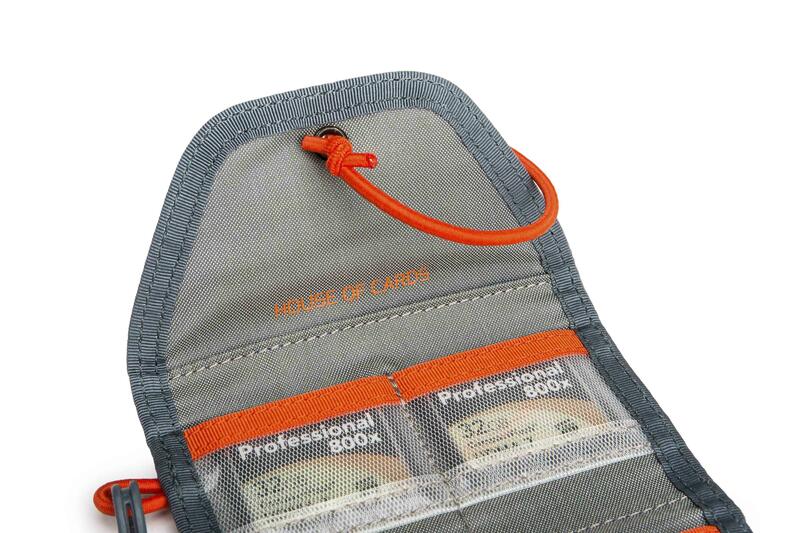 MindShift Gear's House of Cards is a lightweight memory card wallet offers convenient, storage and protection. 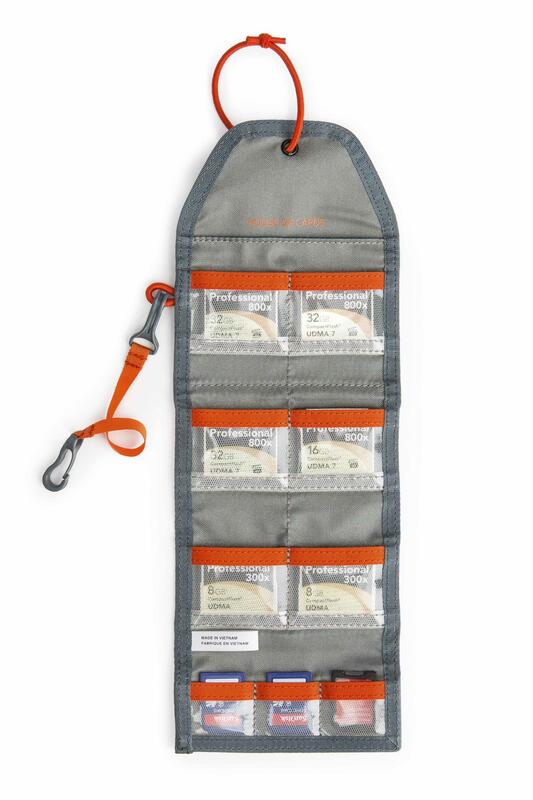 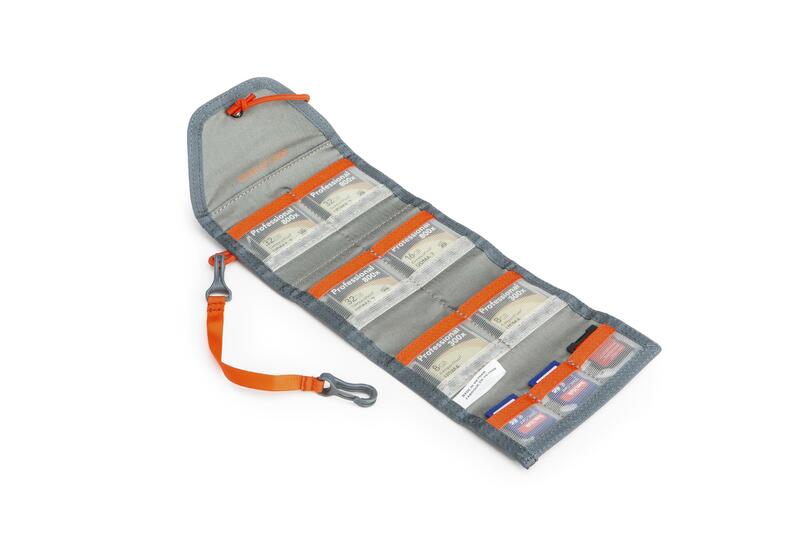 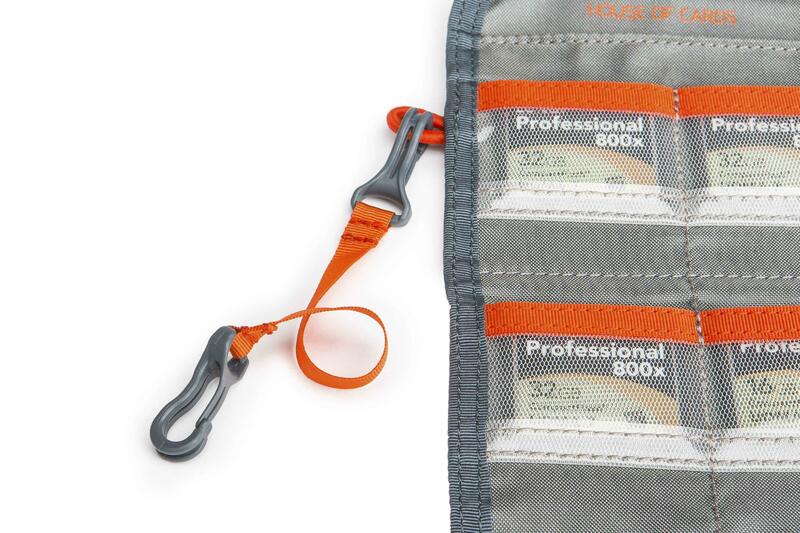 You can quickly find and organize 6 CF and 3 SD cards. 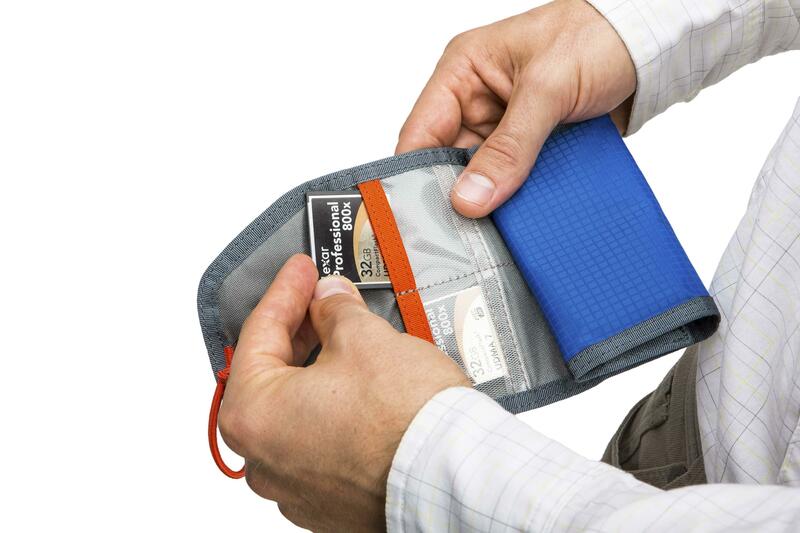 The built in business card holder makes for easy identification. 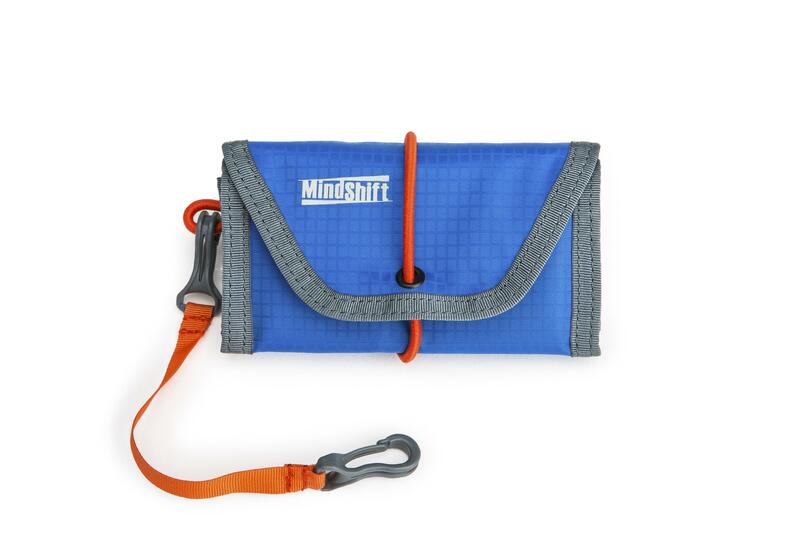 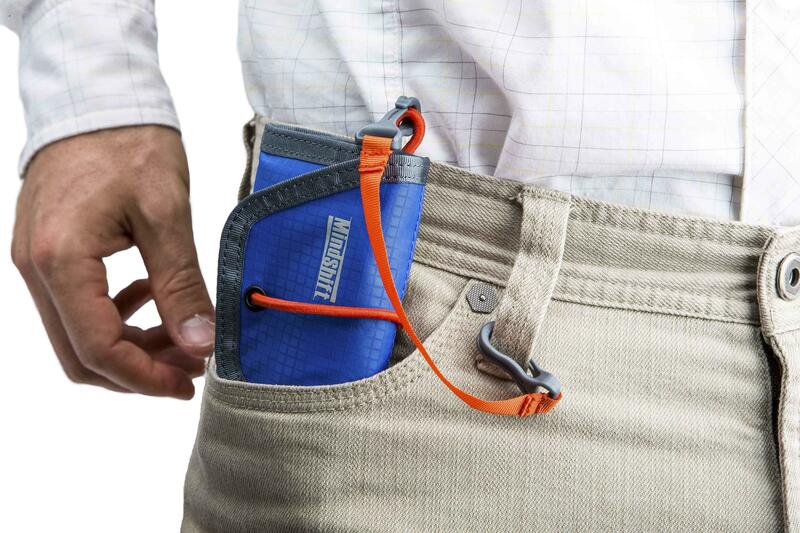 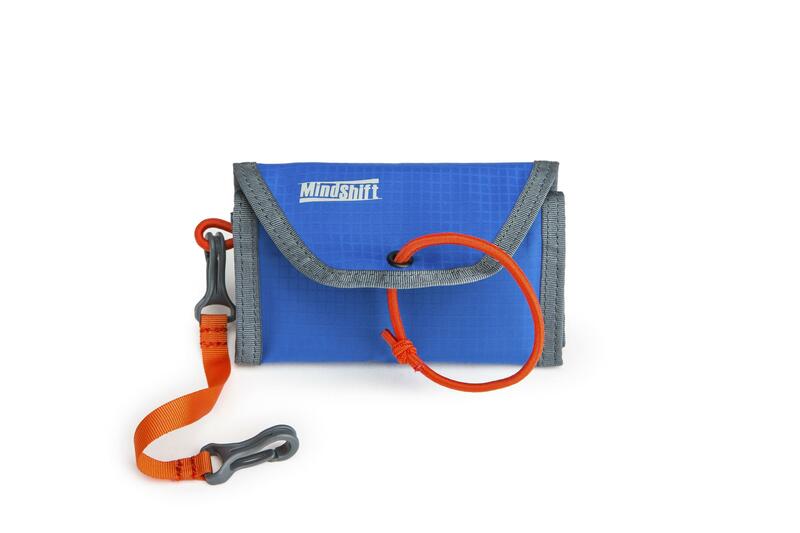 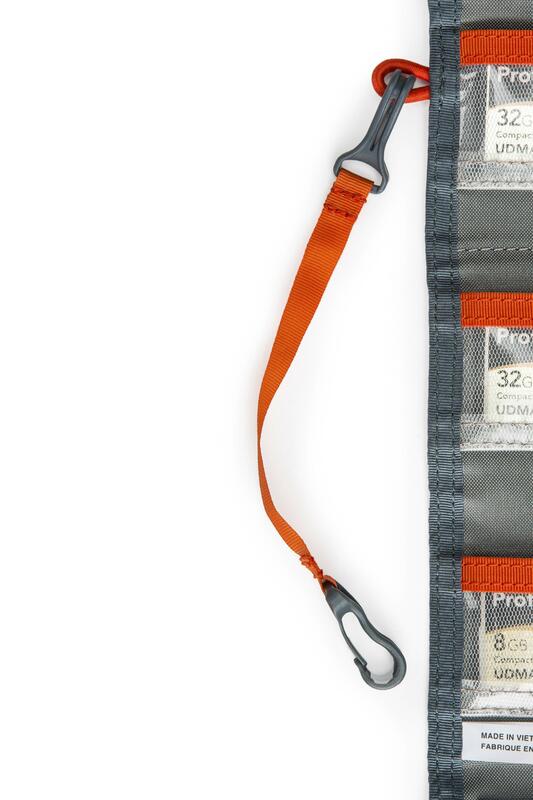 Available in the popular Tahoe Blue colour, with orange coloured elastic band offers silent access plus wallet security.